Sweet Fresh Love! | living passionately! may your 2013 be wonderful and fulfilling! “Yes”, he says kinda hesitantly. “Mmm…. It is the better one”. I buy the brand that I prefer. I am caught by surprise and because I am being diplomatic, I respond, “Hmm… It’s hard for me to say because you’re wearing something else inside” (It’s true, she had a shirt or something underneath but also, I just didn’t sense that it was a good dress choice). “Yes, I like that it has a bit of a shimmer-shine”, I agree. She then pulls out the other ones that she had been trying on… I see one that looks really cool and potentially, much better. “Hmm… no. I didn’t like that one. I love this one”, she points to the one she has on. That’s when I realise, she really didn’t want or need my opinion. She had made a choice already even before she spoke to me! Just like me, when buying the battery, and now like my lady-friend-shopper… we both knew exactly what we wanted long before we sought a second opinion. And beloved, so do you! I’m currently taking a course and in the last class, the coach asked that we refrain from reading any books besides the course texts for the 3 month duration of the course. I was completely floored by that request because I’m an avid reader; books are my thing; I read constantly; I love books; call me “Reader”! So you can imagine my resistance to this suggestion. “This is sacrifice!” I said to her dazed. She reminded me that I didn’t have to do what she suggested but she is making the recommendation that if I do, I will be surprised by the “result”. The coach’s premise was that we often allow too many voices to speak into our lives when we actually would be better off listening deeply to ourselves and to God. This got me really thinking and wondering: how many people am I allowing to speak into my life every day, in the form of books, movies, programmes, friends and strangers? What I have learnt this year is that indeed, I do have the wisdom to do my life and do it well. We are all equipped with the internal resources to live our best lives. To tap into what is readily available inside us though, we do have to take the time to be still and listen. For many of us, it’s a process of re-discovery; re-discovering that we are wise and whole and able. Doesn’t mean that there is no place for welcoming other people to speak into our lives. There is. We are wired and made for community; it is part of our human experience. What is called for though is a sense of discernment – choosing which voices to welcome and even then, being able to be still and weigh what is shared against our own internal wisdom and knowing. So I am going to try my coach’s suggestion and “fast” from the constant companionship of books and see what happens. Already I am grateful for the prompting to begin questioning the influence of others in my life. 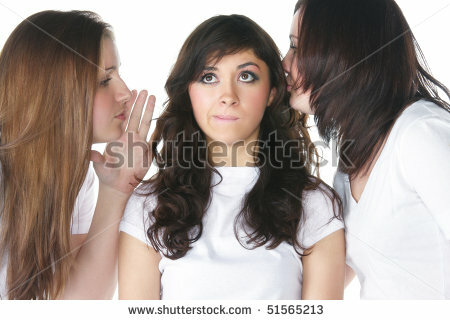 I look forward to see what happens with more listening; less outside voices. What about you beloveds? How many voices are you allowing to speak into your life? Could you use more internal listening and trusting yourself and your God? As the weekend begins, I wish you moments of stillness and the growing confidence that they bring, that you have all that you need to build your best, deepest, fullest life. i’ve heard that the spaces in which we live are a reflection of who we are; that the state of our external spaces echo our internal space; clutter is not just clutter. by clearing the spaces in which we live we can affect what’s going on inside. i’m not sure it’s thaaaat deep but i do know that in my own experience, cleaning my room has led to a calmer feeling; removing clutter has left me feeling lighter; easier; more flowing. 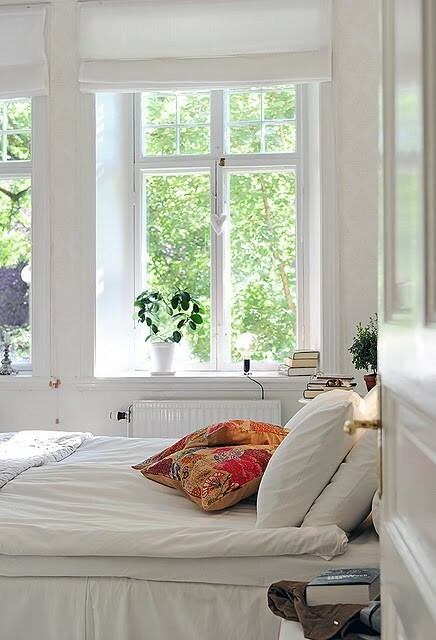 i am currently rather obsessed with the idea of re-designing my home. 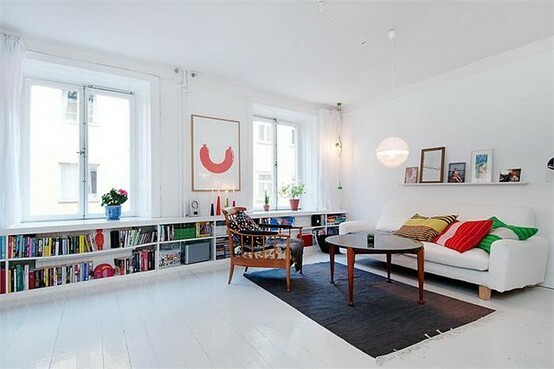 (at the same time, i am also in the process of redesigning and re-embodying my life :- )* one of the looks that i am absolutely loving is white spaces, like the inspiring pics below. enjoy. and what about you beloveds, what’s your take on the relationship between internal and external space? your experience of the same? 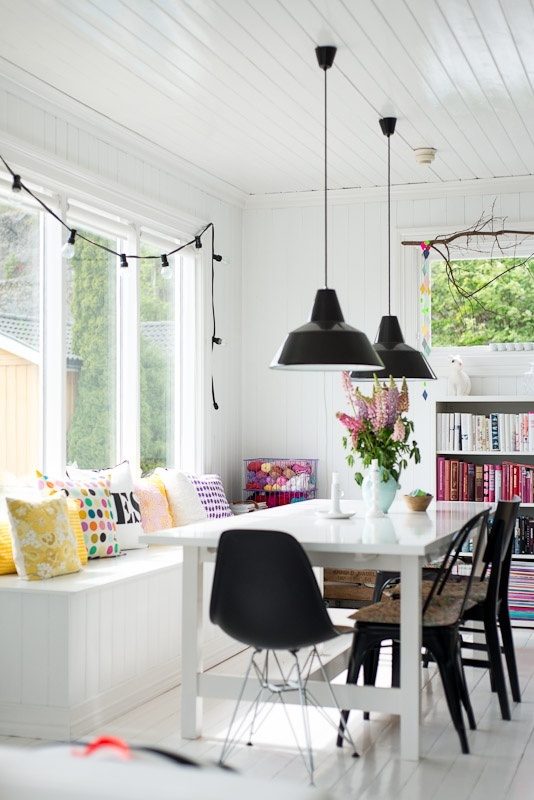 what one thing can you do this week to make your external space more of what you want? 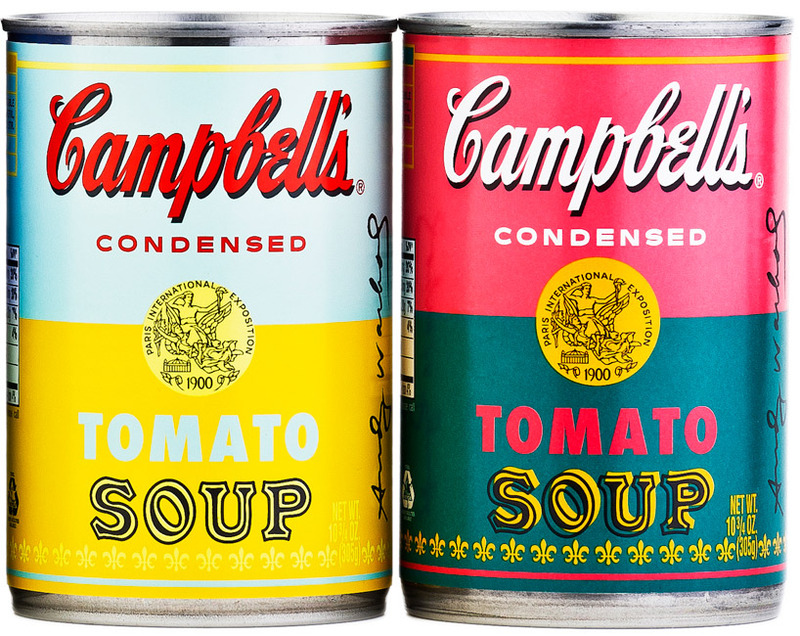 collaborations between the arts and any other sector, make me happy; as i have mentioned here and here :- )* so, i am loving the new limited edition cans of Campbell’s Soup that draw inspiration from Andy Warhol’s famous work on the same. love! i have been dreaming of creating fun, silly, whimsical, “childish” things and spaces. 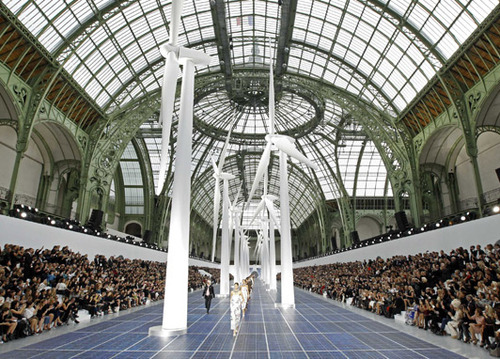 this image from chanel’s spring/summer 2013 show resonated with my sense of imagination and wonder and creation: models walk down a runway made of solar panels between thirteen full sized wind turbines. beautiful. whimsical. unreal. inspiring. 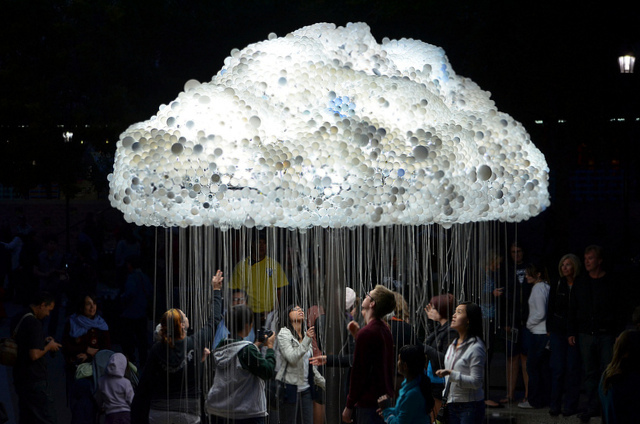 and then this interactive art installation “cloud” by artist caitlind brown also got me kabisa. stunning. awe-inspiring. fantastic. what are you currently dreaming of? 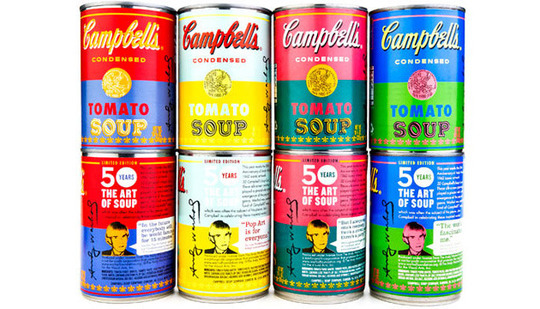 what’s inspiring you? what’s awakening the playfulness in you?